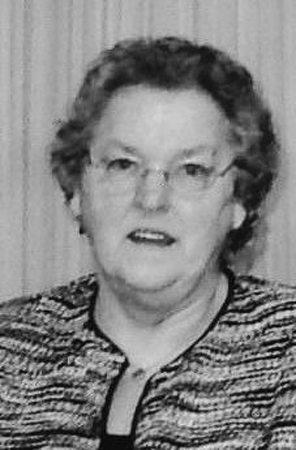 WESTBROOK - Mildred Adelma Davis, 77, of Westbrook, passed away peacefully on Wednesday, Jan. 30, 2019, surrounded by loved ones. She was born on April 6, 1941, in Bucksport. She was the daughter of the late Delmar and Marguerite (Soper) MacDonald. While in her seventies, Millie was full of life, energy, and joy. Her favorite ways to enjoy retirement included spending quality time with loved ones while relaxing on her deck, gardening, yard saling, and never missing the chance to cheer on the Boston Red Sox. She will be greatly missed by her husband of 57 years, Gary Davis; daughter, Heidi Waterhouse and husband, Donald of Westbrook; sister, Chris Neeley and husband, Roland of South Portland; two grandchildren, Zachary and his wife, Tori, Tyler and his fiance, Jordan; and three great-grandchildren, Justin, Natalie and Kairi. The family will be holding a private ceremony. Arrangements are under the care of A.T. Hutchins Funeral Home in Portland.